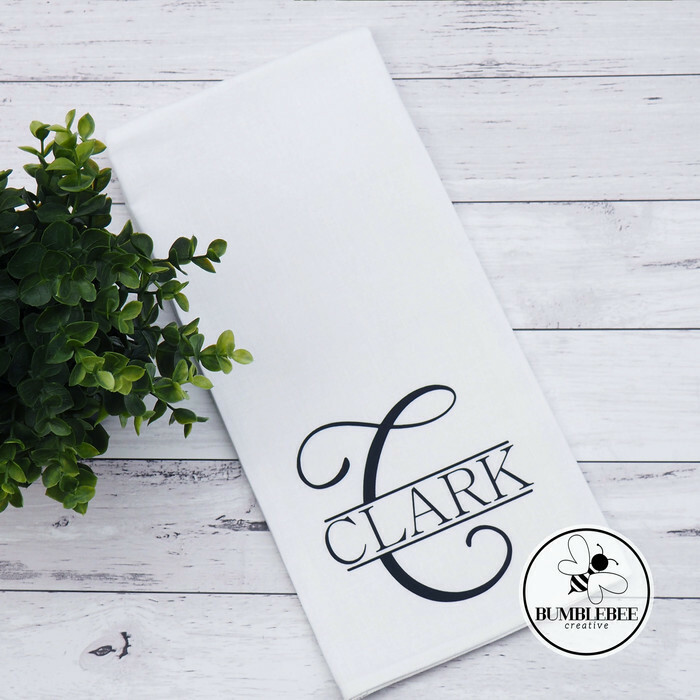 Monogrammed or Family Name tea towel. Also available as a teacher gift by adding Mr or Mrs.
1) Split Monogram with family name. This design is applied with HTV and comes with your choice of HTV colour. Design measures approximately 11 cms wide, height of split monogram varies between letters. 2) Monogram Wreath with Banner and Family name. This design is applied with HTV and comes with your choice of HTV colour. Wreath measures approximately 11 cms wide. 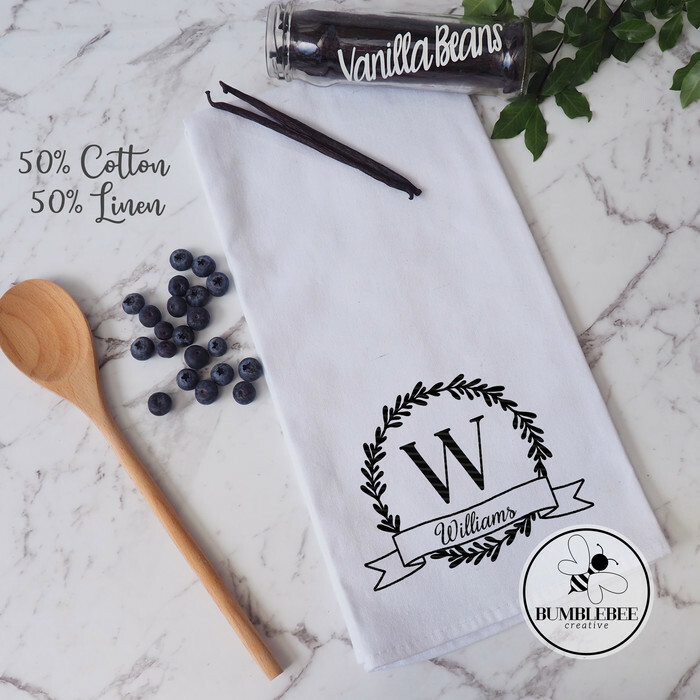 This white tea towel measures approx 50 x 70cm and is a blend of 50% Cotton / 50% Linen. All designs are handmade and customised to your order and may not look identical to the photo. This listing is for one tea towel, any props photographed are not included. Diagonal stripes are watermarks and will not be on your final item. If ironing DO NOT iron design. Design maybe ironed on the reverse side or by covering design with a Teflon sheet or baking paper. To make ironing easier I recommend dampening the tea towel with a generous spray of water to help steam out the wrinkles. Save on postage and collect your order from Botanic Ridge, near Cranbourne South. Message me through my Madeit store or Facebook page with your order. For current turnaround time, please see Store Announcement. For urgent orders, please contact me directly to make sure I can meet your deadline. Find me on Instagram @bumblebee.creative or Facebook @BumblebeeCreative. All designs are handmade and customised to your order and may not look identical to the photo. Hi, thank you for supporting my handmade business. 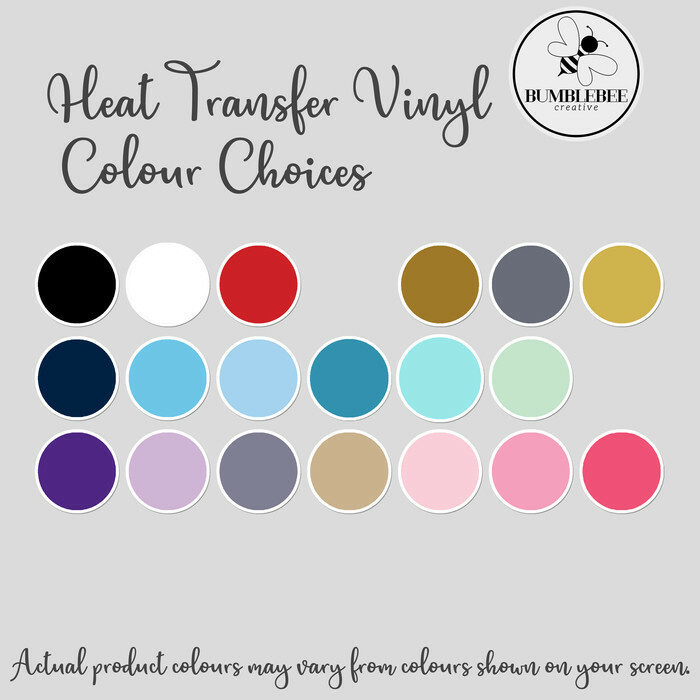 Please include custom order details, name and vinyl colour. Have a great day!